See what Mark & Annette have to say about how they sold their Ogden Utah house and made $10,000 more by firing a Realtor. Another raving fan of Joel and Ann Zieve, Keller Williams Success Realty, Northern Utah Home Team. We hired Joel and Ann Zieve because Joel came to our house. He was the very first Realtor that came to our home after we took our house off the Market. We thought, “Wow! He’s been watching! He knows what’s going on in the Market!” And so, when we decided it was time to sell, we called Joel. We did! I’m glad we did! We had lots of friends, and we didn’t want to have a friend for a Realtor this time. We wanted to have somebody that meant business; ended up having a friend, but that was wonderful too! We had it at $419k, so we listed it with you at $439k; sold it at $430k. At $430, yes, and so we were pleased with that! I’m sure it didn’t sell last time because there was not any exposure. There was very little exposure to the house. And Joel and Ann were able to put this out on the Market where we’d see it every day. Over and over again. And would come back up on the Market and so there was plenty of exposure to the house, to the property. And the pictures they took were fabulous! I mean, made it look better than it was! But it’s a beautiful home anyway! And they took aerial views, and a video of the house also that anybody could go on and look at. All those things were great parts of the puzzle that helped it. We made an offer on a home that we wanted to purchase, and the Realtors helped us as you’ve helped us to be able to get that. It took a lot of time and a lot of machinations. A lot of things that had to happen, and stayed right with us as we, they walked us through that. We couldn’t purchase because we hadn’t sold ours, and so we were able to put a contingency on that property and we’d made the offer with a contingency to sell ours and the seller was able to go along with that. And so we were able to do that. And then when ours did sell then we were able to go ahead and smoothly make that adjustment. We had constant emails and texts and phone calls to keep us informed of everything that happened so that we weren’t surprised, so that we didn’t find ourselves confused about anything or any process. And I thought that was comforting, and it was good! And we always felt like we could call or text back to find out answers too, which we did. Joel and Ann are a great team! They each know what they’re doing and they work together and make it happen. Appreciate it! And we trusted you too! You know, we had great trust in what you were doing and we just had to be able to do that. You know, instead of wondering if this was going to happen, or that was going to happen, you know, which has happened in the past before. We appreciate you. It was a lovely experience for us. We really appreciated it. It’s gone very smooth and, what a relief! See what Christina has to say about how she sold her Ogden Valley Home (Utah) and making her home dream come true by building a cottage close to her kids. Another raving fan of Joel and Ann Zieve, Keller Williams Success Realty, Northern Utah Home Team. My name is Christina and I’ve lived in my home, built it many years and decided to sell it to start a new little dream. For my retirement I’m going to build a little cottage and be close to my kids and grandkids. I just can’t even tell you about how blown away I am. It just worked! It worked like you said it was going to work. And my expectations where I wanted to sell my house. The first realtor I had, I liked her but the process didn’t work real well. It was slow and I wanted someone a little more serious. I wanted a more wider base of you know, people that were going to look at the house, so you did that. I was really impressed; it worked so well for me. Oh my gosh! I got somebody from out-of-state that just loves the place and is going to just, they are really, looking forward to retiring too and have a place for their animals. She likes rustic! It’s a rustic country home so it did; it needed the right person and you found her! Yeah, the first realtor I had, we had basically the same price. She just didn’t show it as often. I didn’t get the showings, the activities. I’m not, I’m not quite sure what she used. But it was not sufficient to get my house out to the amount of people that needed to see it. I know when you brought the helicopter up or the drone that was really interesting. The pictures were really nice and really showed it off very well. Since my buyer is from out-of-state she did look at those pictures. Yea, I got a full offer and you know then in fact they even upped it just a little bit over what I had listed. You know the one day I had like four showings, that day they wanted to put their offer right in so that’s, it was really exciting. I felt really comfortable. You guys kept me informed, lead me through the process. Yeah, I have, you know, really talked you guys up and really professional and got it out there. I liked that it was an out-of-state buyer since I’m going to be a neighbor of my old property. It’s really exciting to see someone that loves it; she loves it; absolutely loves it, like I’ve loved it. It worked the way it was supposed to work. I really am impressed. You just see I’m just so happy! It’s just been so painless, so thank you so much, I want to thank you for your professionalism and getting me to my dream! See what Devin & Carlee have to say about how they sold their Ogden Utah house and made almost $30,000 more by firing their friend/Realtor. Another raving fan of Joel and Ann Zieve, Keller Williams Success Realty, Northern Utah Home Team. Devin: We wanted to sell our home and buy a home just across the street because I was able to get into the home that I grew up in, however, things changed where that didn’t work out as well as what we hoped and so we had to kind of change our plans and we ended up finding this home in Ogden. Carlee: It all worked out. Devin: Yeah, I mean we are happy definitely happy with the price that we got for our house and also the experience. It was crazy 7 offers in like 8 or 9 days something like that. Devin: Yeah, I mean we even still have the picture of Joel that he took with his quad copter. Carlee: And I think it’s cool that you guys do like the movie so people can walk through the house without actually walking through it. Devin: Right, I mean it can be a good house a very good looking home with a lot of features on it but without the professional photography or you know even the right camera your house can go from what should be a 10 you know to maybe looking like a 5. And you know that the first things that buyers are looking at are just the pictures. Do they like the pictures? If they do then you know that goes on their list. If they don’t like the pictures they just continue on. And we tried to do that with a friend that just got her realtor license. And that was a disaster to say the best. I mean it was just not that she did a bad job I mean I know that she is learning. Carlee: She just didn’t know how to sell a house. Devin: Right they’re still new at it. Carlee: You guys were great. Devin: Yeah, you guys were defiantly great. And it was good to you know just have the experience that we did with you and Joel. Ron is amazing, to say the least, I mean we tried to get just approved through another financial resource and that just didn’t work out. I mean it just kept dragging and dragging. I mean so that was amazing to be able to call Ron and get a preapproval letter within 6 hours. It went to underwriting and the next day it was approved. The selling of my land was a wonderful experience. We had it listed previously before Keller Williams, and after a year it was never shown once. Nobody ever came and contacted us. 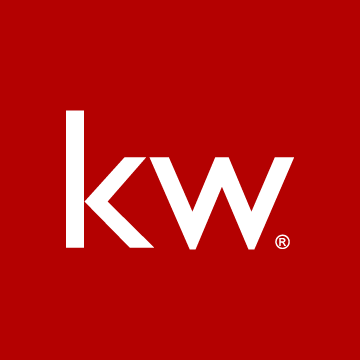 There just seemed like no interest once the real estate agent got it listed, but when we listed with Keller Williams and specifically it was with their agent Ann we got emails every week on the progress. We got emails if a new person was looking at it and what they thought about it. She was constantly on board with keeping us informed of everything that was going on, and then her husband came over and took aerial photographs of it, and Ann walked on the property and did a video of her talking about it which I think had a lot of benefit because we’ve got all kinds of people coming and wanting, making offers or saying that they’re interested. It was a very, very positive experience and even the buyers that just bought it the date of the closing was moved forward like two weeks, so we’re very, very happy with Ann especially. I think you just did a marvelous job and anything I sell in the future I am going to start with you. Learn how Lesa got 9 offers in 4 days on her Utah home for sale. I have loved working with Ann. One of the first things that I, you know, because I was just looking for homes online and I didn’t have a realtor and Ann was very persistent. I really admired that about her and she kept emailing me and asking me questions, you know, and what my timeline was and if I needed help, and I really admired that about her and the whole process has gone so smooth. She sold my house in a week, actually less than a week, and it’s just been great, and she also helped us find a house, and we can’t say enough about her. We highly recommend her. See what Renee and Weldon have to say about the outside the box real estate marketing that got the property sold. Another raving fan of Keller Williams Northern Utah Home Team. My name’s Renee Cross and I owned a lot on the East Bench of Ogden which Joel and Ann sold in a difficult market. My lot, they worked very hard, very diligently. They communicated very well to us on what was going on and the inquiries on the lot and I would recommend them whole-heartedly to anyone! Past experiences in selling property in Utah have not been quite as pleasant. They’ve been very long-winded. Joel and Ann they have, every week given us weekly updates on any type of inquiry, what’s going on in the market in general and in the area. Joel and Ann, a tower of information! Did a lot of research, did a lot of communicating to us without us prompting at all. And I can honestly say I haven’t had that type of relationship with a REALTOR prior to meeting these two. So, the Marketing was a little outside the box. I mean whether it’s the video stuff or the social media stuff, I think a lot of that stuff was outside the box. And I think that really helped! And we feel every confidence that we ever lead anyone to have Joel and Ann represent them that it would be a very, very good, fortunate move on their part! It was a very pleasant experience. We appreciate Ann and Joel’s hard work and their diligence and their information, communication. It was all top notch and we were very pleased with the results! Learn why Mike and Kate moved from California to Eden Utah and how they found the best Ogden Valley Utah real estate agent. Another raving fan of Joel and Ann Zieve, Keller Williams Success Realty, Northern Utah Home Team. Kate and I have been going up to the Ogden Valley skiing for a number of years. Have always loved it! The scenery is fantastic, the skiing is fantastic, summers are beautiful. And we had just got to a point in our lives where we felt the timing was right to leave California and move to a place where it was not nearly as crowded and we had a lot more opportunity for outdoor activities. We figured that buying a lot up in the Ogden Valley was the thing to do and the time was right. Originally, Kate and I had been looking for a 2nd home. I had done a search online and come across Ann’s name and, just out of the blue, gave her a call and spoke with her and I was very impressed with her knowledge of the area. Upon meeting her we just discovered that she was the type of person that we wanted handling the search for us. She seemed very knowledgeable, very interested, and very personable. Being a General Contractor down in Southern California I had dealt with several Real Estate agents. 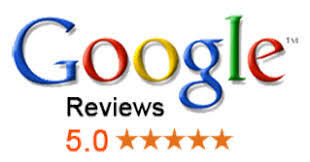 Never really had a positive experience; was mainly unhappy with the service that we got. A lack of attention. When I met Ann, she was like 180 degrees different. She just always seemed like she was very interested in our project, you know, 100 percent of her attention. Was never late getting us information. We were just absolutely, really impressed with her. I would recommend Ann to any of my close friends, my family, or any of the fussiest sellers or buyers I know. She just seems like she is on top of it all the time, always. I had never, ever called Ann and got a voicemail. I always got Ann. Everything I’ve said is true! It’s coming from the heart. I mean you guys are just fantastic! Learn how to flip Ogden Utah homes from Joy: Did hers in 3 weeks and got multiple offers (after firing 2 Realtors). Another raving fan of Keller Williams Northern Utah Home Team. I didn’t have to buy and sell, but it’s always been an interest of mine. I’d go in and rehab homes or improve them. It was in pretty bad disarray, but I like a challenge and I took it on. Thanks to you for finding the home in the beginning, and I appreciate that. The process of purchasing the home was very smooth. Another Realtor I was working with and I understood their plan and what they were going to do, and after about 3 weeks I could see that nothing was done. So I gave them another month; still nothing was done. So I changed agents. They just didn’t quite have that marketing edge. Finally you & Joel got a hold of me. I said, absolutely, I’d like you to list it. Gosh, in a matter of 3 weeks, we had an offer and the very next day we had another one so I was in a multiple offer situation, which was great! I appreciate that. Today was icing on the cake. We were able to sell the home, and got it closed! The 57-Step plan was great! I mean, you have a lot of steps there. Probably the key element that I think anybody can glean from this is the constant communication. To me that’s important in understanding what’s going on. The activity, whether there is or not. I really liked the aerial photographs – the marketing aspect that excels from everybody else. I would definitely recommend you to anybody. I’d say, you know what, just turn them loose! Don’t micromanage them, don’t do anything, just let them do their job and you’ll have success! See how Doug and Jean sold Liberty Utah house (in the Ogden Valley) after losing their buyer the first time. Another raving fan of Keller Williams Northern Utah Home Team. Our house is located in Liberty, Utah.Beautiful place up in the mountains. We’ve lived there a long time in our home but to sell our home, we want to be closer to our grandchildren, we have a whole bunch of grandkids. We’ve been around the block once or twice so I really think it’s time to make that move. So we have. Joel and Ann were engaged in getting it taken care of. They communicated with us. Seems like some of the other Realtors listed it and we did not hear from them much. They called us repeatedly to make sure things were done right and correct. The buyer cancelled the contract and Ann suggested: “Well let’s just let them know what you’ve done to the house and then see if they are still interested”. That actually brought them back to the selling table which was nice. It was a good idea to look at what (else) was on the market, helping us put it at a reasonable price. I think you have the advantage of being a husband-wife team. You’ve got two personalities that worked with us. You have choices that other agents don’t. (A neighbor) was a positive influence on us calling you in the first place. And if you’ve sold something for Steve, especially Steve! We won’t use the last name, but that’s a feather in your cap. That was a good sign. We would recommend anybody to talk to you cause we felt like you did a good job. See how Jason and Natalie saved up to 5%, found the perfect home, and weren’t subjected to a pushy REALTOR. Another raving fan of Keller Williams Northern Utah Home Team. A: So Jason and Natalie we just finished the closing on your home, how do you feel? A: How’s the process buying your first home? J & N: It was really wonderful. It was smooth, we had a deadline of 3 months and we met the deadline on time and it was perfect. It wasn’t/you guys weren’t pushy. You were relaxed, helped us find what we wanted; what we needed. It was a good experience. A: Good. So would you recommend us to your family and friends if they have to find a house? A: What would you tell them to expect? J & N: Good quality customer service, timely appointments and meetings and a deadline that can be met. You are very on top of things, there were no surprises. No loopholes that we had to jump through. It was all up front and very clear. Yeah we had one agent that was really pushy she wanted us to get into the home that she wanted not we wanted. When we wanted to make an offer she wouldn’t accept making the offer. She thought it wasn’t right. She thought it was too low and so as she just blew us off. The house actually sold for less than what we wanted to put on. A: What were your thoughts coming in to working with us? J & N: I was just hoping that you wouldn’t be pushy, which you were not. That you would consider our wants and our needs, which you did. It was nice that you knew you who you were working with so it was a smooth process. So that it wasn’t like “oh, we’ve never worked with them before so we’ve got to delay our deadline. It was nice that you’ve worked with them before and it was very smooth.